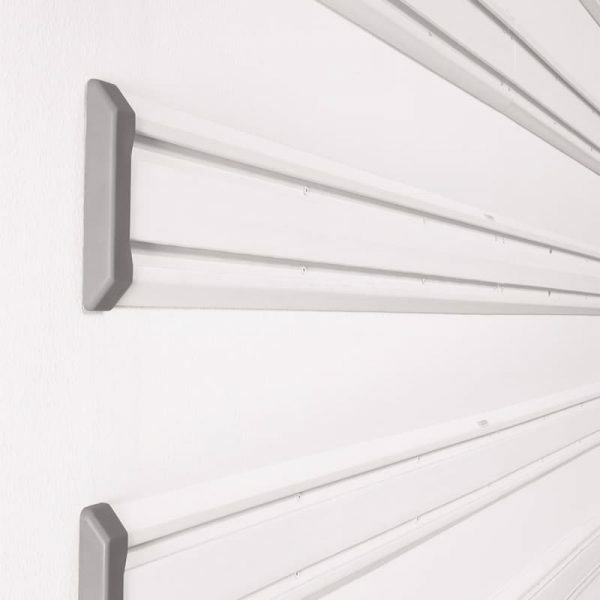 The Gladiator® Wall Systems (GearTrack® Channels and GearWall® Panels) are patented, heavy-duty PVC channels designed to easily arrange and hang Gladiator brand hooks, garage shelves, baskets, cabinets and other accessories. Pegboard is now a thing of the past. Our slat wall systems feature a patented double channel design, keeping your hooks and gear firmly in place - providing you the ultimate flexibility in wall storage. GearWall gives you more surface area to hang your gladiator product range. Do you want a heavy-duty storage solution? Consider using every area of space available in your garage by getting one of our wall systems. The ultimate solution to your storage problems. 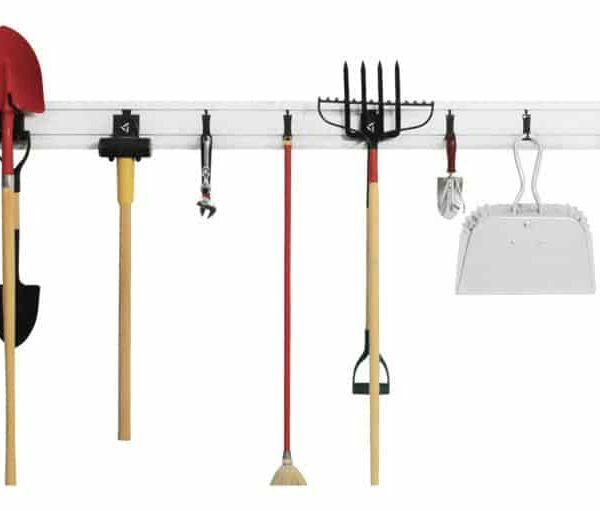 The heavy-duty PVC channels are designed to allow you to easily arrange and hang a range of products, including hooks, garage shelves, baskets, and cabinets, just to name a few. You don’t even have to worry about the wall system falling out of place once you load your items. The slat wall systems include a patented double-channel design. This means your hooks and equipment will stay firmly in place and never fall off the wall. You don’t need to look any further to find your perfect storage solution. If you haven’t ever purchased storage items for your garage, the best choice is to start with one of our accessory starter kits. With these, you can easily get your items up off the ground and take advantage of the underutilised space on your garage walls. Best of all, your items won’t even be stored in cabinets or cupboards – they will be easily accessible on hooks or in baskets. Accessory starter kits come with a range of products, including wire and mesh baskets, a variety of hooks, and bins. We have everything you need to safely keep your hooks on the wall. 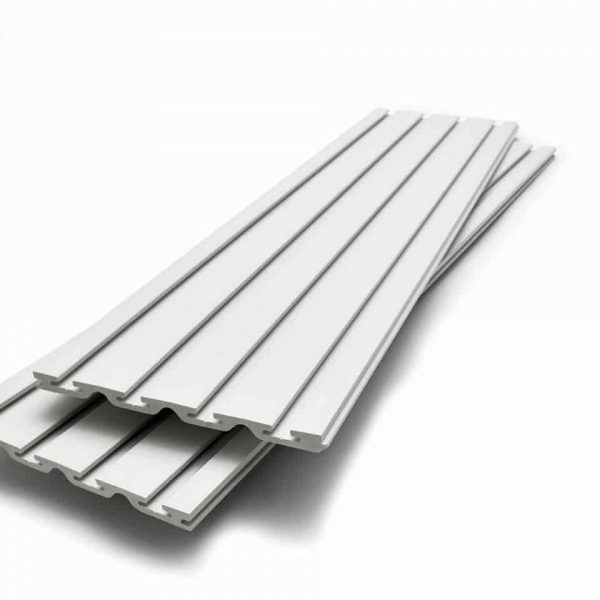 We have two packs of our 1.2 metre GearTrack Channel, offered in a two and six pack. The GearTrack Channel includes robust channels which can withstand any environment – extreme heat, cold, and humidity. If you want the toughest garage with the best wall storage, the GearTrack Channel is what you’re looking for. Using this, you’ll easily be able to hang cabinets, hooks, baskets, shelves, and bins. Add a finishing touch with the Geartrack End Caps. These snap easily into place onto the end of the track and even come in a matching colour scheme. If you need some more surface area to hang your belongings, consider getting our Gearwall Panels. These are available in two sizes – 1.22 metres and 2.44 metres, and both come in a two pack. These panels also feature the Double Channel Design, which helps the panels to stay securely in place until they are ready to be relocated. 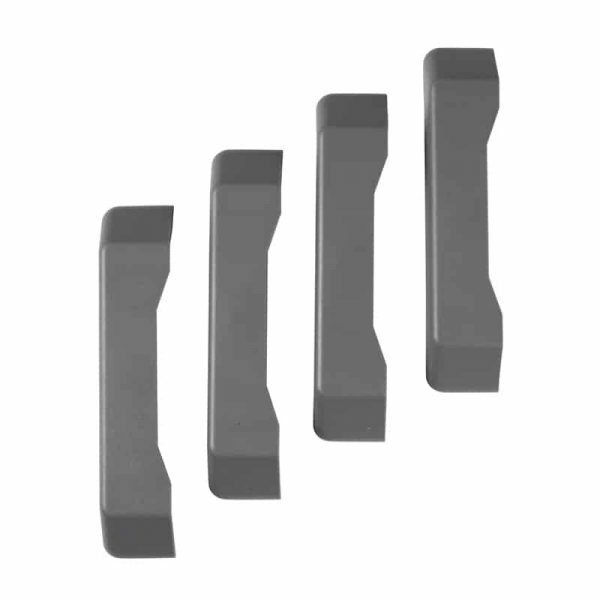 If you want to make sure your panels have a sleek design, you’ll need to get the Gladiator Grey Colour-Match Screws. This will help you to have a seamless design. 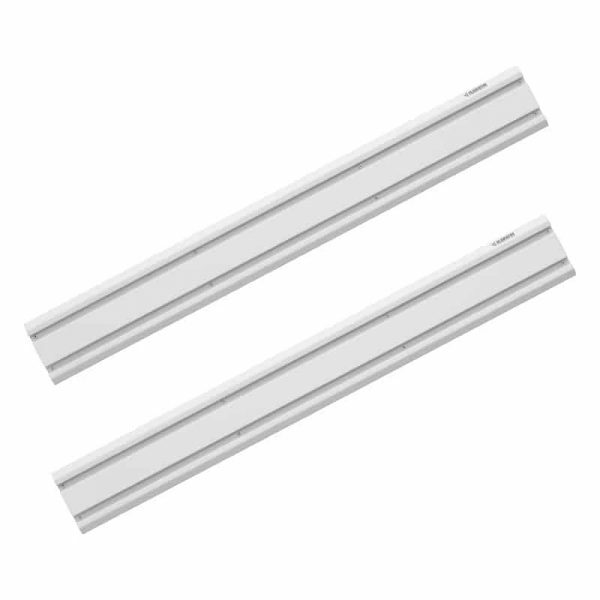 One pack of the 32 screws will mount one 2.44 metre GearWall Panel, or four 1.22 metre GearTrack Channels. Finally, we also offer the GearTrack Starter Pack, which is installable in just 15 minutes. This will provide you with 2.4 linear metres of storage space. 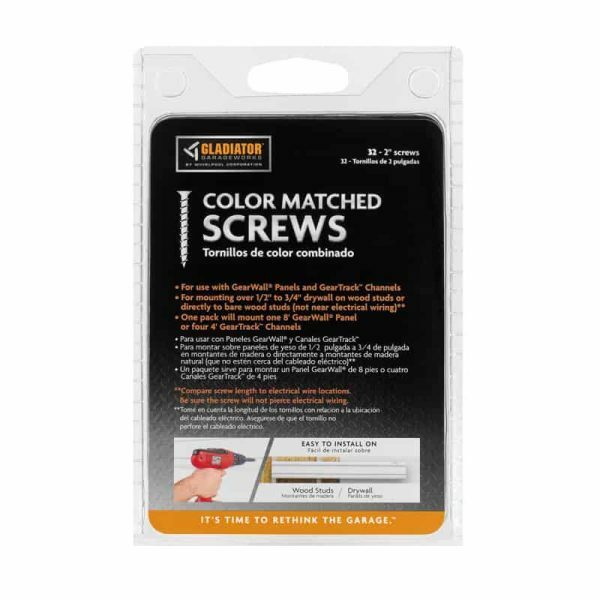 The starter pack comes with a variety of six different hooks, as well as two end caps and all-weather screws. These wall systems are sure to help you get your gear up off the ground and nicely stored on the walls of your garage. Gladiator Garageworks is the company you can depend on to provide flexible, easy to install storage system solutions. Whether you have small or large items, you will be able to find the right storage for your garage. Our extensive range means we are sure to have something that suits every size garage, as well as everyone’s design and style preferences. The products are versatile, so you’ll be able to easily re-arrange them in your garage as you need. Looking for a strong, durable storage solution? Look no further than Gladiator Garageworks.